Freedom Model's can help with your Alcohol Problem in our Alcohol Program. 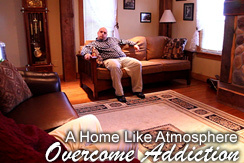 New York is home to many Residential Alcohol Rehab Programs. The very mention of a Residential Alcohol Rehab Facility evokes images of a halfway house, where people live and interact with each other, and sometimes have work outside the home as a way of transitioning to a life after their time in the Residential Alcohol Rehab Center is ended. A typical Alcohol Rehab Program will be housed in a multi-bed home, often an older home converted for high density occupancy. Many of the houses host 20 or more people, for periods lasting from several weeks to many months. Many such programs have very deep roots in the rehabilitation industry, and may employ older methodologies that have limited effectiveness. Residential Alcohol Rehab Program protocols which employ a 12-step, disease model are regulated and controlled by the NY state government; while the Alcohol Rehab Program model that is a non-12 step program is often not regulated by the state. Alcohol Rehab Program models vary in their effectiveness, as within any industry. While most Residential Alcohol Rehabilitation Facilities do not actually track their effectiveness by measuring sobriety or abstinence, some program models do. The highest independently verified success rate in the country belongs to the Freedom Model Retreats, part of the Baldwin Research Institute. At 63%, this Residential Alcohol Rehab Program rises above the rest of the industry and excels as a choice-based program. The Freedom Model Retreat program, known as the Freedom Model Program, is a Residential Alcohol Rehab Program that receives and hosts guest from all over the world. The model utilized is referred to as the Freedom Model tm and is an educational and social skills model. This is unique among Residential Alcohol Rehab Program protocols, and was created by the research and careful work of founders Jerry Brown and Mark Sheeren. The underlying premise of the program is that we are all free to choose the life that we wish. It is through education and social skills training that we unlock the person we truly are, which will lead us to be able to become the person we desire to be.